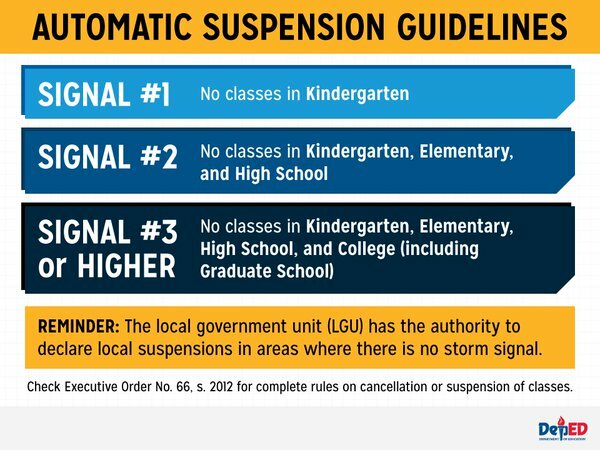 MANILA, Philippines - (Updated as of 11:30 pm) Local government units (LGUs) announced class suspension for tomorrow, December 15, 2015 as Typhoon ''Nona'' (international name: Melor) passes through several provinces of Luzon and Visayas. 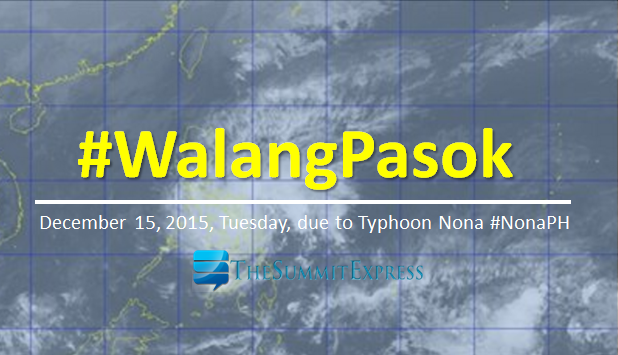 On its 5:00pm bulletin, state weather bureau PAGASA said that Typhoon Nona has made landfall over Sorsogon and now moving westward towards Burias Island. At 4:00 PM today, the eye of Typhoon “NONA” was located based on all available data including Virac Doppler Radar over Bulusan, Sorsogon (12.7°N, 124.1°E).